Tri State Strategies is a bi-partisan governmental relations firm that effectively represents leading corporations, associations and institutions with their legislative and regulatory concerns by offering winning government relations and lobbying strategies. Our founder and CEO, T.J. Rooney has over 25 years of experience in Pennsylvania government, and politics offering a rare combination of experience and relationships that enable him to provide guidance for clients on a wide range of government relations, legislative and regulatory issues. Tri State helps clients successfully achieve their business and policy goals by crafting effective strategies and utilizing our deep and long-standing network of relationships within the Governor’s Office, administration and with legislative leaders from both parties. We work hard to understand your business because every client has unique objectives and requirements. Our experience allows us to create a tailored strategy and execute an action plan to achieve your government relations goals. We serve clients across a broad range of industries including, energy, healthcare, information technology, infrastructure, gaming and more. T.J. Rooney is the founder and President of Tri State Strategies PA, LLC. T.J. works with clients in a broad range of industries including, energy, healthcare, gaming and government outsourcing. Prior to his service in public office, T.J. held licenses in insurance and real estate. T.J. began his political career in 1992 when he was elected to the Pennsylvania House of Representatives in the 133rd District representing North Hampton and Lehigh Counties. He served for seven consecutive terms (1993-2006). Served as member on the Rules, Consumer Affairs, and Insurance Committees. Chaired the Committee on School Violence where he worked on gun safety legislation in Pennsylvania. Senior advisor to the Tom Wolf for Governor Campaign and Chair to the Insurance Committee for Wolf’s transition team. Key advisor to former Governor and National DNC Chairman Ed Rendell and was appointed by Governor Rendell to Chair of the Pennsylvania Democratic Party, where he served with distinction from 2003-2010. He led efforts that resulted in the reelection of John Street as Mayor of Philadelphia, Dan Onorato as Allegheny County Executive and the winning of five statewide judicial races. His statewide political success led him to key roles on the national scene. President of the Pennsylvania Electoral College in 2004. Served for nine years as a member of the Democratic National Committee. Senior adviser to the Pennsylvania presidential campaigns of Al Gore, John Kerry, Hillary Clinton and Barack Obama. T.J. was recently recognized along with co-honoree Alan Novak as the first recipients of the 2017 Allegheny College Prize for Civility in Public Life in Pennsylvania in recognition of their work in navigating divisions in government to build consensus and end stalemates. T.J. is a sought-after speaker and is frequently interviewed and quoted by the media. He is a favorite of state-wide political news outlets as well as Philadelphia talk radio programs. T.J. regularly lectures aspiring political science students at institutions such as the University of Pennsylvania, Saint Joseph’s University and Dickinson College. Susan joined Tri State Strategies in 2016 as the Director of Client Services and Project Coordination where she is responsible for project management, client support and communication out reach. Susan has over 20 years’ experience as a corporate education and project management professional. Previously she designed, implemented and delivered a variety of corporate development and training programs for administrative, professional and management level employees at Highmark Health one of the country’s largest integrated health networks. She also supervised a professional staff supporting two divisions at TIAA-CREF one of the largest pension and annuity providers in the United States. 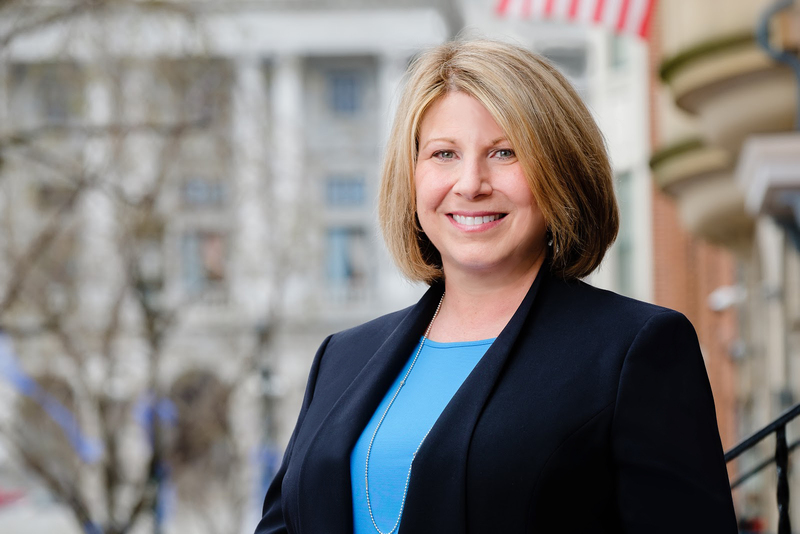 Susan holds a BA in Communications from Shippensburg University, an MA in Educational Psychology from New York University and has earned a Graduate Certificate in Public Health from the College of Human Health and Performance at the University of Florida. She has been active in the community serving as an adult mentor at the Mechanicsburg Middle School, Project Chair of the Health and Wellness Committee and School Board Liaison of the Mechanicsburg School District. In addition, she has chaired the Resource Committee of Operation Wildcat and was a coach for Girls on The Run.